Inspiring performances, luminous sound, and exceptional musicianship are the hallmarks of the Grammy Award-winning Parker Quartet. Renowned for its dynamic interpretations and polished, expansive colors, the group has rapidly distinguished itself as one of the preeminent ensembles of its generation. In demand worldwide, the Quartet has appeared at the world’s most important venues since its founding in 2002. 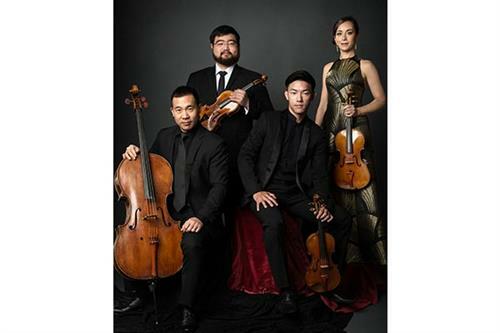 Following a 2017 summer season that had the ensemble crossing North America for appearances at music festivals including the Bowdoin International Music Festival in Maine, the Strings Music Festival in Colorado, and the Garth Newel Music Center in Virginia, the Parker Quartet will begin its fourth year-in-residence at Harvard University with the new prestigious title of Preceptor. The Quartet’s 2017-18 season continues its signature busy schedule with performances around the United States, including for the Schubert Club, Skidmore College, St. John’s College, University of South Carolina, Kansas City’s Friends of Chamber Music, and an appearance at the Kennedy Center in Washington, D.C. BIG ARTS is thrilled to welcome the Parker Quartet to our Islands for a tremendous evening of music.